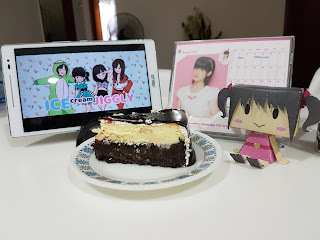 Happy cake day to me~! No translation today, unless something really big pops up. Anyhow, today marks three years since I first posted a translation. Despite the loss of standouts such as RihoRiho, Manakan, and Konitan, I'd personally count this year as a better year than last. Note that it's not hard to top a year which saw the hiatus of Berryz, especially when we also saw the revival of legendary unit Buono! Had my first non-solo wota trip, going to Taiwan for a Tokyo Joshiryu concert with some fellow wota. Gave this site a bit of a facelift at the end of last month. Also set up a Twitter and Facebook page. Credit for the awesome new header and icon goes to Archejoiyo. As always, I'd like to highlight some of the translations I did over the past year. Momochi's Spotlight interview - Biased I may be, but if I had to recommend just one translation done over the past year, it'd be this one. While Momochi-as-teacher has been garnering attention throughout her tenure as Playing Manager, I love how the interview really gets into the nitty-gritty of how she applies what she learnt into educating the other members in her role as PM. Miyamoto Karin: Tsudzuiteiku STORY - This would be my second must-read recommendation. Karin-chan shares the trials and tribulations she underwent to get to where she is now. While her ascent to Juice=Juice centre may have seemed inevitable in hindsight, it was far from the case back when she was a Kenshuusei, stuck in a rut of failing auditions. Tanaka Reina: Earnestness - I'm not a big Reina fan, but it was a fun read. From the same magazine as the previous Karin-chan interview, it's Reina being Reina. What else do I have to say? I suspect that doing these sort of questionnaire posts on a cross-sectional basis helps the popularity of these posts. After all, you don't just get to read what your oshimen thinks, you can find out who's talking about your oshimen as well. 'Member as girlfriend' is the standout in terms of popularity. A direct assault on Yanagawa Nanami and Funaki Musubu! Country Girls' new members quickly won everyone over, and it's not difficult to see how. Funaki with her years of Kenshuusei experience already had the trappings of an ace-level idol. But Yanamin, now that was quite the find - the wisdom of a thirty year old in the body of a thirteen year old. She's managed to loosen up over time, but seeing how she thinks is always a treat. 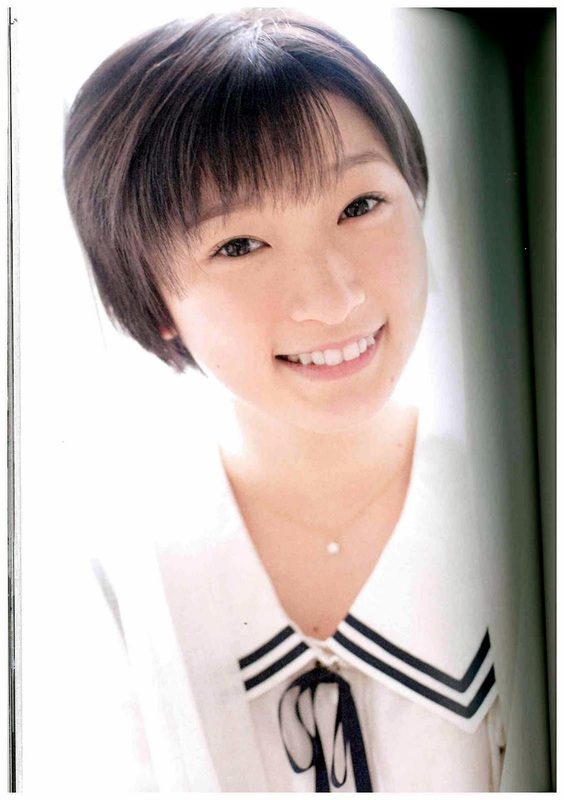 I have been impressed by Fukuchan's transformation into a confident young lady. Seeing the way she carried herself through the press release of her third PB Kagayaki, I felt that she had come a long way. I suspect that this transformation was partly due to assuming the leadership of the Musume. Of course, that all goes down the drain when she enters Momochi kimowota mode... but I might even enjoy that side of her even more. In a move reminiscent of Yuukarin, Riho announced an end-year graduation in October. The following tweet is the closest I have to a RihoGrad translation. It still remains in translation draft hell. Perhaps someday. With the statement made about half a month ago, the wound still feels fresh. Still, health comes first. The fact that she'd like to continue on as an entertainer in some capacity is heartening though. Looking forward to that, and hoping that it'll come sooner rather than later. Joshiryu are the only non-H!P act that I follow with any regularity. Similar to Manakan's case, the signs were there - she'd been gone for half a year, and the members had moved forward without her. What stings the most to me is that her statements suggest that her graduation was mainly brought about by a crisis in her own confidence. But from how the members describe it, she seems happier having made the decision, and I guess that's for the best. MaiMai's scandal - Just like Momo, I'll always think of MaiMai as being the baby of the Kids. What's the worst that could happen, too much Pokemon Go? But on another note, let me just say that in some way, the fact that this wasn't immediate grounds for dismissal shows that even the old-school UF has made some progress. And thankfully, MaiMai even got to keep her lovely locks! And that's it for my yearly reflection. Main thing I'm looking forward to over the next year is the revival of Buono! The Musume have a new generation in the pipeline, and there's also Miyabi-chan's new unit. Juice=Juice and Kobushi Factory are on a tear, but the most senior group ℃-ute are still moving forward at a steady rate. As raw as the wound is, Country Girls will probably be fine. They've already gone through a tour with six people, and they've still got good heads on their shoulders. No graduations in sight in the near future, but who knows what lies beyond the horizon. And with that, thank you for reading, here's to another year of translating, and bye-chun. and thanks for all the translations, especially Momochi ones. Hey, I would like to tell you congratulations. I remember reading everything there is from the start, and I would like to tell you that you've improved so much Skoban! I would like to learn the Japanese language too, so let me set you as one of my inspirations. Thank you and congratulations.